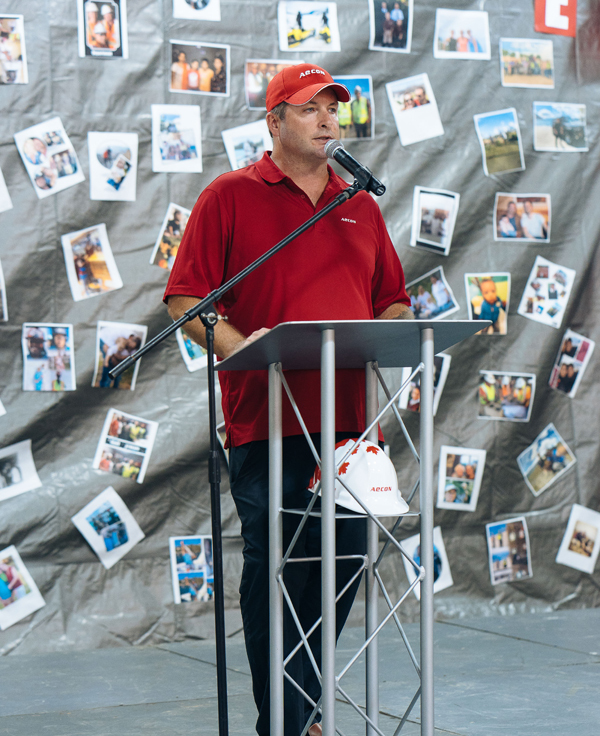 Skyport and Aecon celebrated Safety Week with a special event at the site of the new airport terminal. 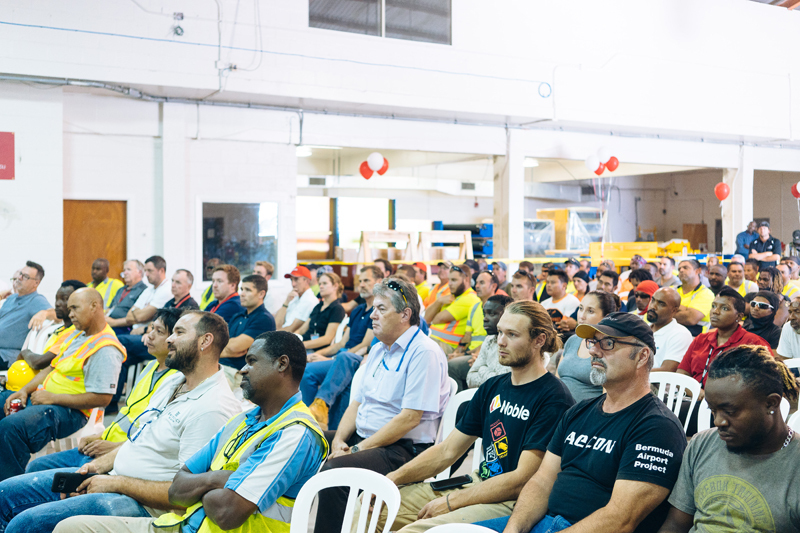 “It was the second Safety Week in Bermuda and is a company-wide initiative that is held at every Aecon project site across Canada and internationally, with approximately 12,000 people in attendance,” the company said. “Skyport and Aecon employees, as well as contractors and sub-contractors working on the construction of the new airport terminal were on hand yesterday to enjoy the event. Mark Rivett, Executive Vice President, gave a presentation the importance in Aecon’s core of safety first. He also discussed some of the safety opportunities on the project,” the company added. “Workers then attended a screening of “Toolbox Talk” – a video presentation given by Jean-Louis Servranckx, Chairman and Chief Executive Officer of Aecon. His presentation covered procedural adherence and safe work practices and procedures. 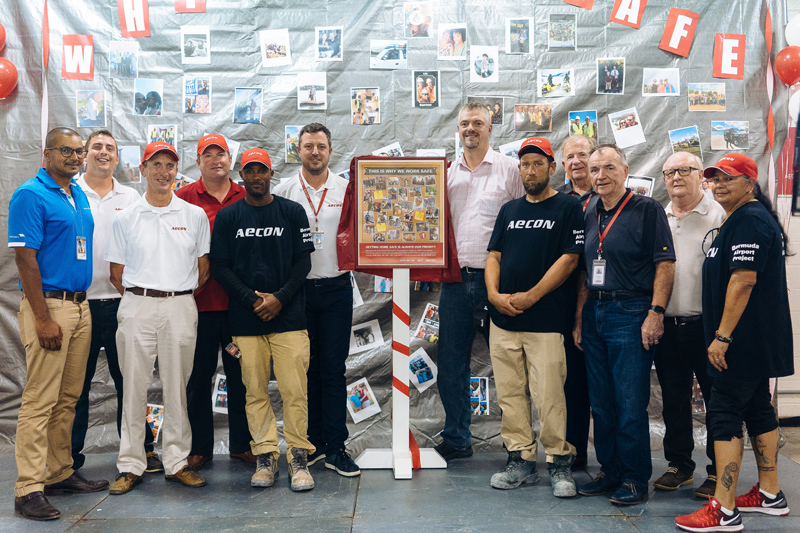 “Attendees were treated to a lunch to celebrate and were given a gift as a token of Aecon’s appreciation of everyone’s commitment to working safely,” the company said. The redevelopment at L.F. Wade International Airport is expected to be completed in 2020.